Objectives: Primarily for the underprivileged people across the country to provide medical assistance. Publishing various handbooks providing information on rational use of medicines, basic hygiene, reproductive health care, etc. Funding for any surgical treatment like open heart (pre and post), kidney (only pre-operation cost) and for other general surgery pre-operation and surgery cost. Providing medical transportation at rural and urban places for under privilege section of the society. Setting up medical diagnostic centre at villages with nominal charges. Three open heart surgeries for Rumpa (6 yrs. ), Sannik (6 yrs.) 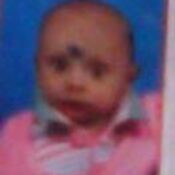 and Baby Pritam (4 months) in the month of August, 2014, August, 2012 and November, 2011 respectively. Pre-surgery support to Raju (28 yrs.) a patient of total renal failure. Rumpa (6 years) was suffering from Tetralogy of Fallot which is a rare, complex heart defect. It occurs in about 5 out of every 10,000 babies. Her poor father is a daily waged labourer who knocked the door of Wisdom Foundation. This child needed a heart surgery immediately. 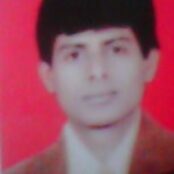 The estimation cost of the surgery was Indian Rupee One lakh, eighty six thousand and five hundred . Sannik is 6. He is the son of a street-side fruit vendor in a part of West Bengal. Sannik suffered from a congenital heart condition that made it difficult for him to be a 6 year old, full of life, mischievous young boy he yearned to be. He used to be easily tired and his mother had to watch over him all the time. The local doctors have checked him out and sent him to the large hospital in the city. Sannik ’s father heard about Wisdom Foundation helping an infant get surgery done to save his life and comes to our door in the last week of June 2012. The team at Wisdom has pledged to help those who need our help. Our main focus maybe Education but being humane makes every cause our own! Our philosophy is that we may not be able to do everything for everyone, but we can certainly try to help anyone who needs help get the help they need. No, we didn’t just give them an address and a letter - instead we accompanied them to the hospital, filled out forms, asked relevant questions, got an estimation, spoke to the specialists, applied to government sources for whatever help was forthcoming and got the process started for raising funds through appeals via phone calls, emails, FB posts, text messages and word of mouth. A young life was at stake and we were determined to do everything in our power to save it. 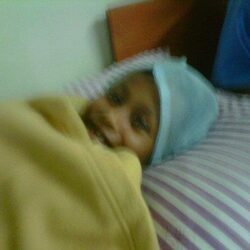 Eventually on August 15th, 2012 Sannik was admitted to the hospital. 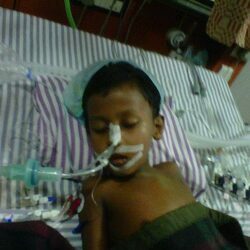 The appeals had brought some angels into Sannik ’s world and enough money had been raised for the surgery. Once we were told his blood group and how much was needed we tapped into our resources and got that too. Sannik was to be operated on Friday the 17th of August - the day Wisdom Foundation had their Annual Fundraising Event planned. No matter, both must go on and our small team split their time and ensured that neither suffered. Midday the surgeon said the surgery could not be held that day. After a few more postponements and board meetings by eminent surgeons of the city it was determined that Sannik would need more tests as his condition seemed more complicated than they had surmised. 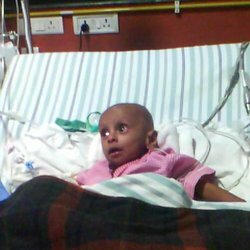 Not one but two surgeries would have to be performed to make Sannik whole again. 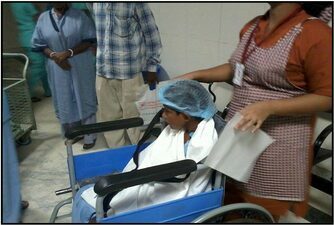 On August 24th - 2 months after Wisdom Foundation was first approached - at 8:00 a.m., Sannik was wheeled into the OT. A team of 7 surgeons scrubbed and went in to do their work on young Sannik. 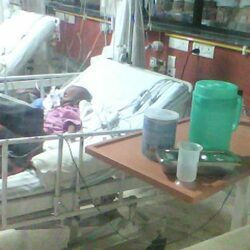 Almost 5 hours later Sannik was wheeled out and taken into the Intensive Post-Operative Unit where he was put on a ventilator. The surgeons had dilated his aorta that was too narrow to be able to pump blood out of the heart and then repaired the valves - both surgeries had been done concurrently by the team of doctors - without putting Sannik on an artificial heart as his emaciated body may not have been able to take the stress. 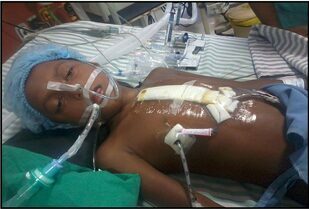 Thanks to the special care and attention of some amazing surgeons Sannik ’s heart was successfully repaired. The money was raised. Thanks to the kindness, compassion and generosity of people from different parts of the world. This experience showed us that where there is a will there is a way. 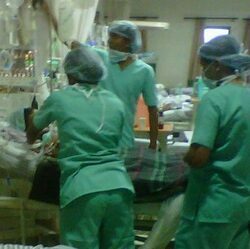 As we write this Sannik is off the ventilator but is sedated, to help him cope with the post surgical pain. He is now in regular ICU being carefully monitored and we hope to see him in his bed in the General Ward soon. Special thanks are due to many - young and old, rich and poor, known and unknown - people who sent their best wishes, prayed, worried, gave us moral courage, shared their opinions, gave their advice, held our hands, lent us a shoulder, donated their hard earned money, and simply cared - none of this could have been possible without you! We will keep you posted on Sannik’s recovery and we hope Sannik and his family will keep us posted on Sannik once he is back home. We hope and pray for the very best for Sannik and hope his parents provide him with the opportunity to get sound Education and step out of the cycle of poverty they find themselves in. It is our earnest request to people everywhere - much work needs to be done. Come join us and become a part of something important. We need volunteers, donors, sponsors, professionals to join us so we can continue to serve our country. When Baby Pritam came in to The Wisdom office on 18th October, 2011, his parents were overwhelmed. It took them a while to begin to tell us the life story of 4 month old Pritam. This infant and his parents had been enduring heartache ever since the little miracle of life had entered this world. We found it difficult to hold back our tears and so for some time we simply held on to one another ’s emotions and wept. Tears helped us connect but that was not enough. Now we needed to wipe off the tears and start working. 120 days old Pritam needed open heart surgery to be able to repair the ‘hole’ in his young heart so he too can grow up to fulfill his purpose in life. Like all of us he is a miracle that God has sent on to this earth and to us he feels like a blessing. He gives us the opportunity to save a life - the king of all opportunities. We have to put all our resources together to enable Pritam a chance at life. The Wisdom refuses to turn away anyone who comes to its door and asks for help. We The Wisdom Team may not be able to do much monetarily, but we can do something that will help the needy. And so we put our heads together and approached other organizations, visited the hospital that Pritam was associated with, spoke to Doctors and came up with a list of resources that helped allay the cost of the surgery at a Hospital. 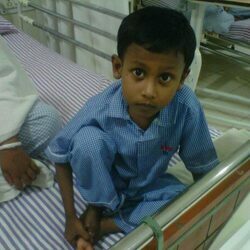 His mother stayed with him while the surgeon and his team kept Pritam under observation. In the meantime they asked that we deposit 4 bottles of O-ve blood. That is a rare blood group and it took a lot of elbow grease and tapping into different resources to collect the 4 bottles. By then Pritam developed a stomach infection and needed to be re-hydrated and allowed to recover fully before surgery could be attempted. Eventually with the help of many prayers and the special care provided by doctors, nurses, family, friends and well wishers Pritam was well enough to undergo surgery on 28th of November. The surgery took just under 7 hours to complete. 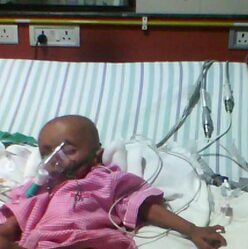 Post surgery Pritam was transferred to the Intensive Transfer Unit and placed on a ventilator. The surgeon said we would have to wait at least 24 hours before he could tell us how Pritam had fared in surgery. In 2 days Pritam was breathing on his own and sucking his bottle! Pritam is back home and will have a life like all healthy children do! Please do support us so we can continue to serve the destitute, the under-serviced and the suffering. All that we do requires funds and there are many ways and many amount that you can provide that will help us continue our work. We also need volunteers and skilled people to come forward and help us in our endeavors. Browse through our site to know more about us and how you too can become a part of our team and fulfill a social responsibility. Raju is only 28 years old. He has a wife and two beautiful children who he dreamt of supporting and raising by following his passion - singing. Raju took his dream and his beautiful voice and went away to Mumbai - a far away and very different place from West Bengal where he originally is from. Raju sang for the guests of a hotel in Mumbai - his beautiful voice and handsome looks brought him accolades from the guests. His soft nature and sincere efforts made him a favorite with management too. Raju saw his dreams materializing - in the very near future. He envisioned his little flat on the upper floor of a building along the coastline of Mumbai. His wife and children waving at him as he rode off on his motorbike, helmet and all to the hotel every evening. His children in clean starched and ironed uniforms setting off for school with backpacks full of books and yummy snacks prepared by their mother. Then one day he felt the nausea. Maybe he had caught the bug that always seems to be doing the round in large cities. It would soon pass, right? It didn't. It only got worse. He had to rush into the toilet in between songs to throw up. He started losing weight, his fair skin seemed sallow and pale, his feet swelled up, his appetite was gone. The diagnosis of total renal failure was a blow that felled him to his knees. He rushed back home to his wife and kids. He was a changed man. Even his voice seemed to fade away. The dialysis were expensive but they were his only chance till he could have a kidney transplant. The money he had put aside to build on his dream was slowly depleted. The land he had inherited and had hoped to one day expand on also had to be sold simply so he could continue to live till he had a donor and the funds required to undergo a transplant and then the aftercare. The Wisdom was set up to provide mainly educational and vocational services to the underprivileged - but our focus is service - plain and simple service to those who need it. Raju is a classic example of why we started The Wisdom. Yes the organization recognized the need for sound education and was started with the intent of providing this to those waiting in the sidelines for the opportunity to learn, but The Wisdom team is not judging the needs of those who approach them. We consider anyone who comes to us for help and anyone who comes to us with support as messengers of God! We serve both groups with love and humility.